Torn between cricket and cinema, right from his teens, actor Vishnu has now embraced the latter, and successfully at that. Torn between cricket and cinema, right from his teens, actor Vishnu has now embraced the latter, and successfully at that. 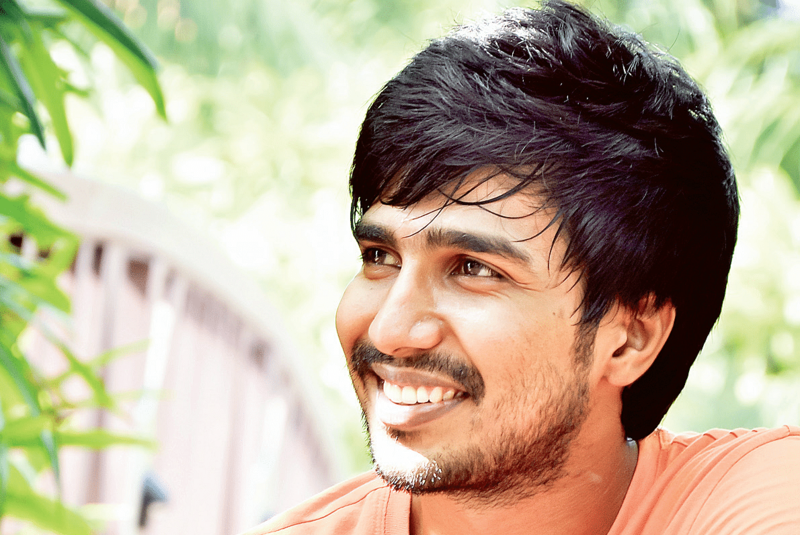 Basking in the success of the just released Jeeva, Vishnu has a string of hits and misses behind him, with Vennila Kabadi Kuzhu, Kullanari Koottam, Neerparavai and Mundasupatti among those that did well at the box office and earned critical acclaim. The flamboyant 30-something actor speaks to edex about his college life where he says he was mostly an introvert, but that didn’t deter him from finding the love of his life. Vishnu initially enroled for a degree in engineering, but due to his strong inclination towards cricket, dropped out to pursue a correspondence course instead. In 2005, he found himself in the MBA class of SRM University, Chennai, where he majored in marketing. “I had zero interest in academics. For the sake of my father who wanted me to have a backup plan, I studied MBA,” he says. Vishnu was quite shy in college and mostly kept to himself. His father was a cop and his frequent transfers didn’t help him make friends. But he made a connection for a lifetime. “Rajini Natraj was my junior and she used to come to my class for something or the other. Slowly, we fell in love,” he says. After a courtship of four years, the couple tied the knot in 2011. Initially an introvert, college helped him turn things around. “You know how a typical MBA is like — tonnes of presentations, interactions and analysis. I had no choice but to come out of my shell. I would say that marketing is pretty much like cinema. It’s not enough if you do a good film — you have to market it at the right time, work on trailers and such. This knowledge came in handy for me later in my films and their promotions,” he says. As far as interactions with women were considered, Vishnu had time only for one — Rajini. “She doesn’t know how lucky she is,” he winks. When not attending college or spending time with Rajini, Vishnu was mostly on the cricket ground, and it goes without saying that he bunked classes quite a bit. With cricket taking much of his time, he wasn’t into any other extracurricular activity. But what about his movie aspirations? “Compared to cricket, I wasn’t into cinema much except to daydream and go around telling anybody who would listen, and even those who wouldn’t, about how I am going to become a star one day,” he guffaws. And his words came true with Vennila Kabadi Kuzhu (laughs), which released in 2009, and became a sleeper hit at the box office. The role earned him a nomination for Best Actor at Vijay Film Awards that year. Be it budding heroes or cricketers, the young actor’s advice to students is to not give up on academics. “It doesn’t matter what or where you study. It’s not even about flaunting a couple of degrees. If I am even able to speak passable English and come across as a confident person, it all boils down to the education I had. My professors, especially, Prof Sadasivam, was more confident than myself that one day I would become a big film star or a cricketer. College is a good phase for anybody,” he says. Vishnu’s upcoming films include Kalukkuray Maaplay and Seenu Ramasamy’s Idam Porul Eval; he is collaborating with the director for the second time after the successful Neerparavai and shares screen space with Vijay Sethupathy, whom he admires much.